Return to Advice to Grow By ... Ask Us! This week much of California is under a heat advisory or excessive heat warning, with high temperatures estimated to range from 90 to 108 degrees. Many home gardeners are wondering how they can help their plants, trees or shrubs survive the intense summer heat. UC Master Gardener volunteers are available to help answer gardening questions and provide advice on gardening during the hot summer months. Here are four quick and easy ways to help make sure your plants and trees not only survive, but thrive. Fertilizers aim to increase the growth of plants and trees. When a fertilizer is applied, especially one that is high in nitrogen, a plant is triggered to produce more green growth. An increase in growth means an increase in water and nutrient needs. During hot spells, it is especially hard to keep up with plant water and nutrient needs as soils dry out quickly and water may not be readily available. Save your plants (and yourself!) from stress by stopping fertilizer application before hot weather hits. How much water a plant needs depends on the specific plant, how long it has been in the ground, and the type of soil where it is planted. In general, young plants or newly planted plants require more water than older more established plants. Clay soils absorb water slowly so watering can take longer but is typically done less frequently. This is in contrast to sandy soils that moisten and drain quickly. Typically, watering sandy soils take less time but has to be done more frequently. A Landscape Irrigation Scheduling Worksheet from the California Center for Urban Horticulture (CCUH) can be used to help calculate and determine an annual irrigation schedule for one irrigation zone. Mulch is a beautiful compliment to your landscape – not only is it aesthetic but it provides a valuable service to your soil. When temperatures get extreme, having a good layer of mulch prevents soil from heating up excessively and loosing water to evaporation. 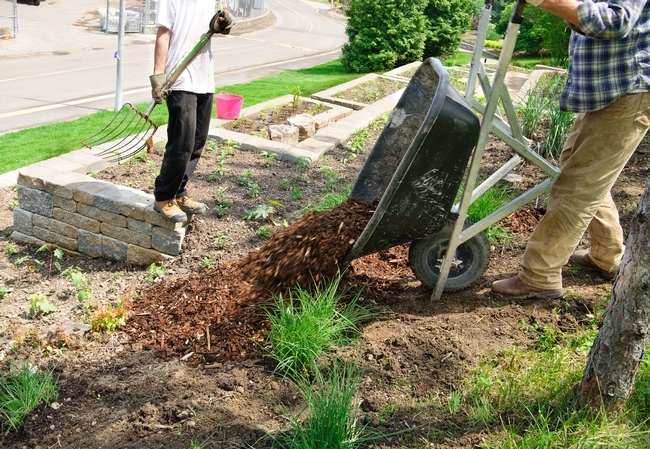 Apply 4 inches of a medium shred bark mulch to insulate the soil. This protects the fine roots that plants use to feed from the surrounding soil. Mulch also helps maintain healthy soil ecology with earthworms and other de-composers that promote nutrients and oxygen in soil. Finally, mulch will pay for itself by maintaining a more consistent soil moisture so you can water less and have better success with your plants. Be sure to maintain the depth of your mulch to ensure you can benefit from all the services it provides. In gardening, timing is everything. New plants, whether grown in ground from seed or planted in your landscape from a container, have smaller root systems than more mature plants or plants that have been growing in your landscape for some time. Because root systems on new plants are smaller and need time to develop, these plants require more water more frequently. New plants introduced into a landscape during hot summer months have a significantly higher rate of failure. 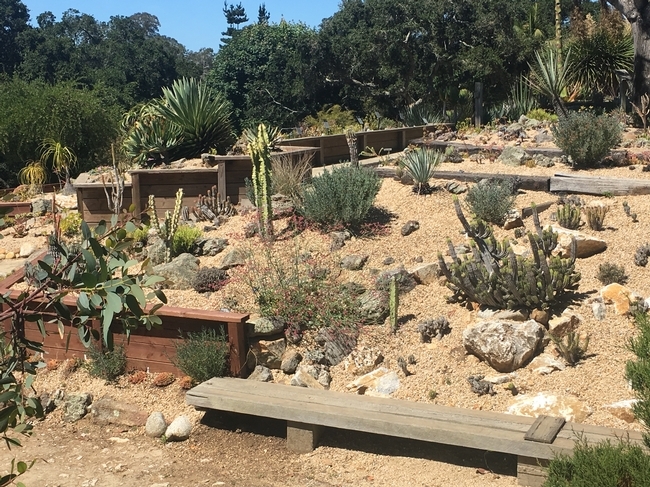 In California, it is best to introduce new plants in fall when the weather gets cooler. Winter rains can help keep new plants watered so they can establish and thrive in the future when temperatures are high and rainfall is scarce. Always remember that you should take precautions for yourself while gardening in the summer months, especially during a heat wave. Remember to drink plenty of water and always have at least one quart of water per hour of outdoor activity. Limit time spent outdoors during peak temperatures and schedule any active time during cooler portions of the day. Always wear light loose clothing, a brimmed hat, and sunscreen as protection. Thankfully we're not trying to garden on the surface of the sun. Unfortunately, sometimes it can feel like it for us and for our plants. 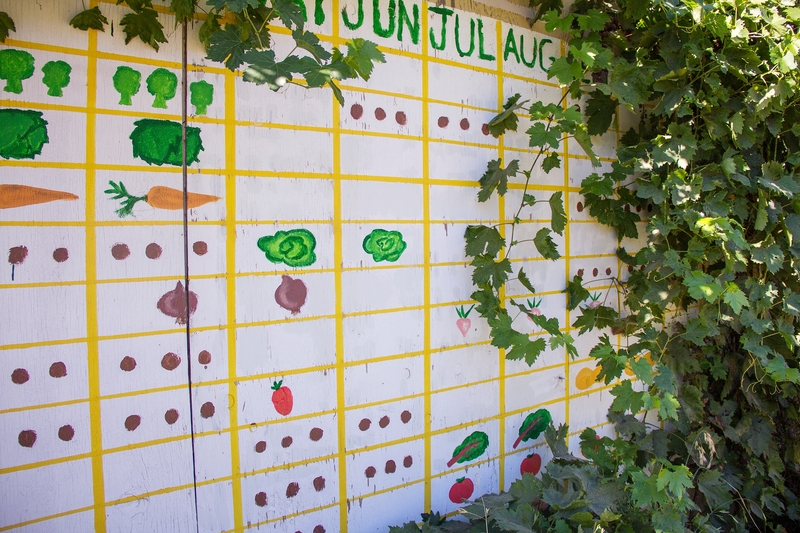 Stay cool with these tips and consider planning for the fall to be an important part of your summer gardening activity.